The Youth Departement of the church coordinates the Advent Youth (AJ/JA), an organisation where not just youth from our own church is welcome, but the door is open for everyone, without regard of culture, religion or philosophical conviction, in a spirit of respect for each individual uniqueness. 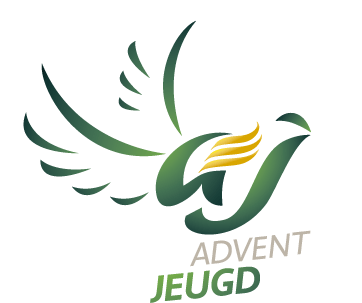 As of 2007 the Advent Youth has an official lawfull form by establishing in the two languages of the country an association, the vzw Adventjeugd for Flanders and asbl Jeunesse Adventiste for the French Community. The youth work has been organised in four different age groups: Buds, Sparks, Explorers and Companions. Age 7 – 11 years. The accdent is on sports and games, but also contact with nature and crafts, where the spiritual element is the basis. Age 12 – 16 years. As the name indicates, we want to stimulate curiosity with this age group. That is the case for many different aspects of daily live. The encounter with nature, but also the exploration of the road that leads to Jesus. Age 17 ~ 20 years. Besides the elements that are part of the Sparks and Explorers, the emphasis with the Companions is mainly on getting experience with “witnessing” of ones faith.